MB Cricket bat and ball factory, Sialcot, Pakistan. 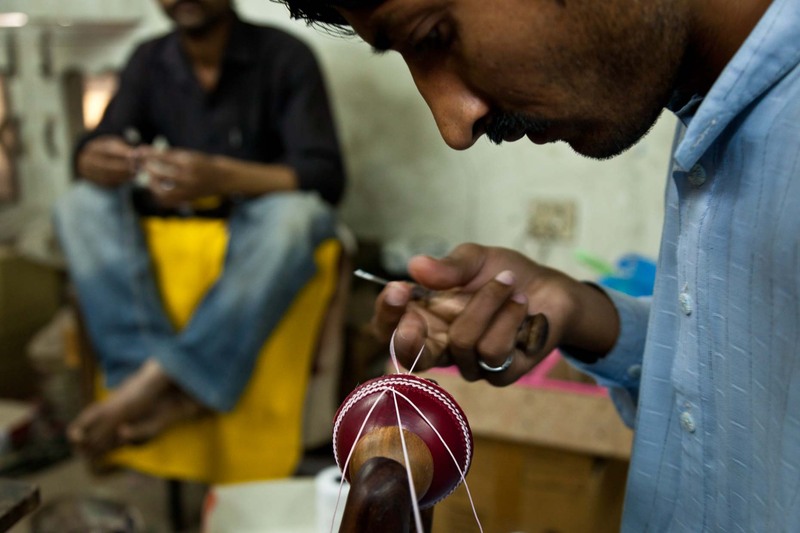 Seen here stitching hand made balls. This company make the bats for the Pakistan National Cricket team.